.This to notify candidates seeking admission into various tertiary institutions for the 2018/2019 academic session that the JAMB CAPS have been activated for the admission exercise. 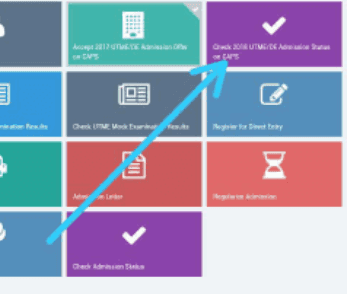 Note: If you are using a phone, you may not see the option to check is Admission Status on CAPS, Most phone users may only see the welcome message. The caps page shows only welcome because it requires you to use desktop mode to view the complete page. This is why the chrome browser is recommended if you are a using a phone. All you need to do is go to Chrome option and choose request desktop site for the complete page to display..